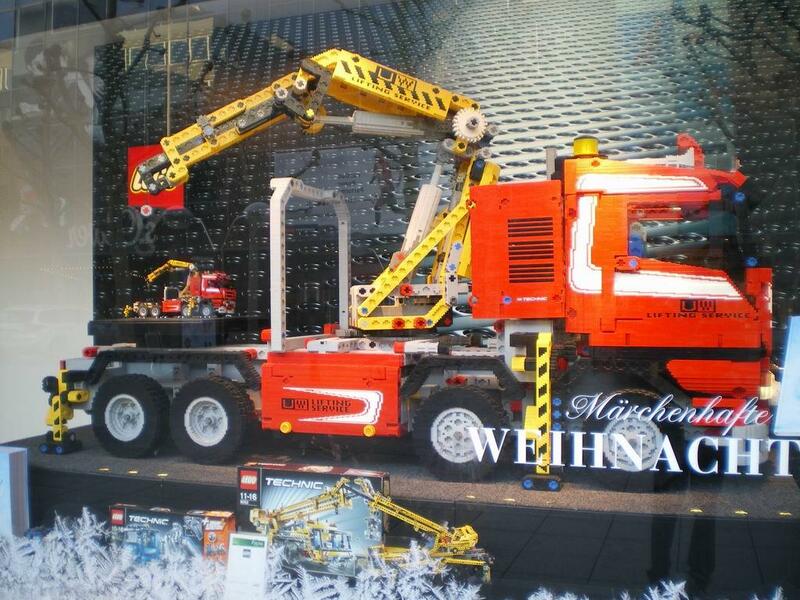 It came to my attention this impressive LEGO Technic display at the Galeria Kaufhof shopping in Stuttgart, showing some cool LEGO Technic display models. The event is currently running and there you can see this awesome display with models of the 2013 LEGO Technic assortment. 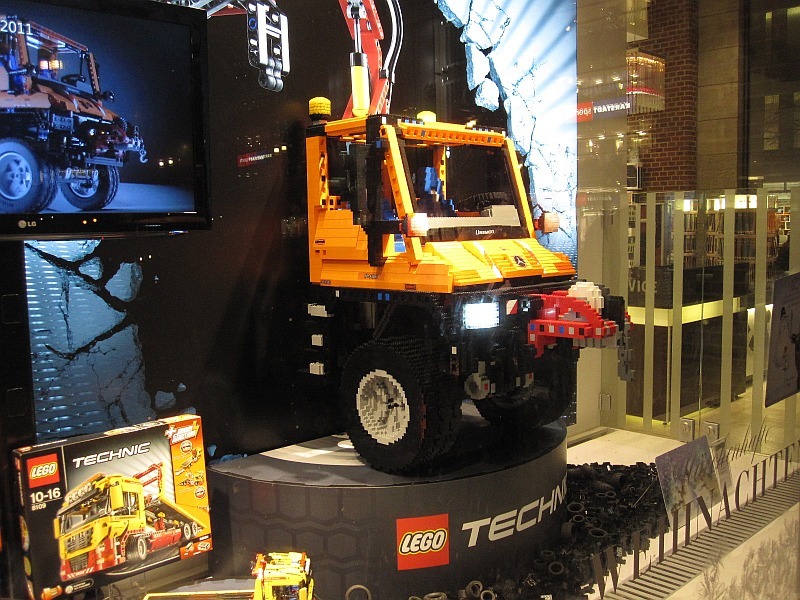 Including a large scale functioning LEGO Technic Engine made of bricks, together with other large sized partial models of the 8110 Mercedes-Benz Unimog U400 and 42009 Mobile Crane MK II flagships. This is not the first time we see similar Christmas promotional displays, in Galeria Kaufhof Stuttgart and Hamburg (at least), as you can see from the pictures in this post at 1000steine forum. Below the Unimog cabin in Hamburg (2011), currently present at the Stuttgart storefront (as seen in the video above). 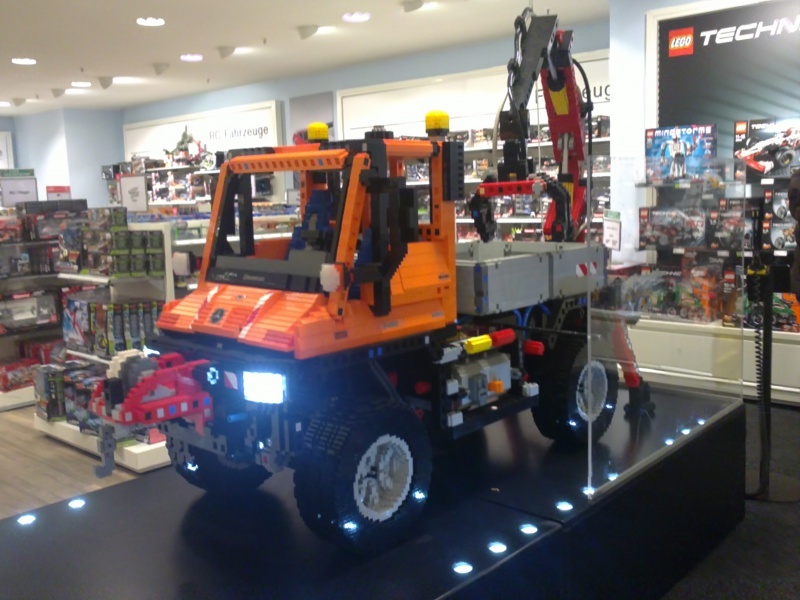 And here another huge size and complete Unimog, currently also inside the Stuttgart store. This one is motorized and there are present 4 yellow controls with two buttons each. Presumably one control for the crane rotation, one for the crane lift, one for the lights (turn left or right) and one other for the horn. Finally also another scale-up model already known from us... 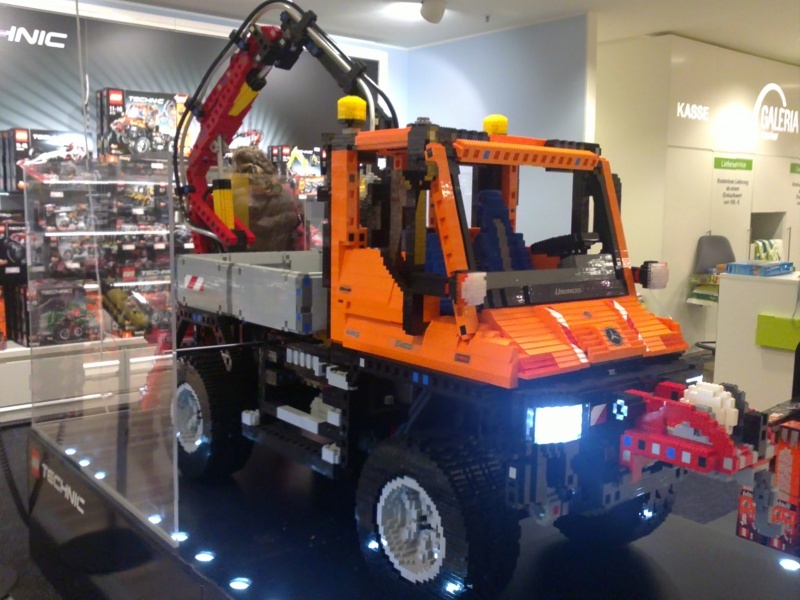 The 8258 Crane Truck from 2009, here at Galerie Kaufhof in Stuttgart 2011. Thanks to Robert Schneiduch (R0Sch) for the heads-up. Wow. I think I need to head over to Stuttgart before Christmas to witness this myself and in person. If Hamburg is closer to you, it might have something too.